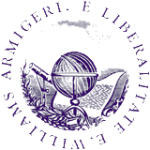 Williams College is a private liberal arts college located in Williamstown, Massachusetts. This small college was first established in 1793. It is accredited by the New England Association of Schools and Colleges. The school was originally a men’s only college, but became co-educational in 1970. The school has three different academic curricular divisions including Humanities, Social Sciences and Sciences. There are 24 departments, 33 majors and two master’s degrees programs available to students who attend. The student-to-teacher ratio is approximately 7:1, which allows for very hands-on learning. William’s College is classified as very selective school by the Carnegie Foundation for the Advancement of Teaching. The academic year follows a schedule of two, four-course semesters. Students also have a one-course semester during the winter study term. During the winter study term, students can study a wide variety of courses that are outside of the typical curriculum for three weeks. These courses include but are not limited to Ski Patrol, Chess, Accounting and Shaping Your Life. These courses are usually taken on a pass or fail basis, rather than receiving a letter grade. Students at William’s College can also use the winter study term to study abroad or work on their research projects. The cost of tuition and fees for the 2010–2011 school year was $52,340, with approximately 50% of students receiving need-based financial aid. William’s College education model is based on the tutorial systems at Oxford and Cambridge University. This is rare in American higher education, with William’s College offering tutorials spanning many different disciplines including math and sciences. Students of all class years can participate in these tutorials, which can be highly beneficial to their learning experience. Over 80% of students have stated that tutorials were the most comprehensive aspect of their learning while attending William’s College. Williams is situated on a 450-acre campus in Williamstown, Massachusetts. The campus offers more than 100 buildings for students to use. These buildings are designated for academic, athlectic and residental use. Some of the buildings include the Old Hopkins Observatory which is the oldest astronomical observatory in the United States. 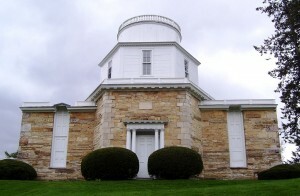 It was built in the late 1830s and contains Alvan Clark’s first telescope. The school also houses the Chapin Library which allows students access to a very rare collection of books and documents, including the first printings of the Declaration of Independence. 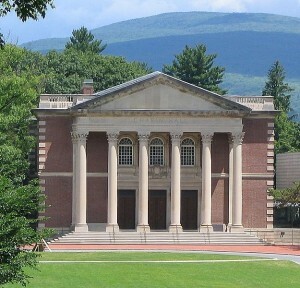 The school is also home to the Williams College Museum of Art. It has over 12,000 works of art in its permanent collection including notable works from artists such as Edward Hopper and Sol LeWitt. William’s College has undergone many upgrades in the last decade including a $38 million Unified Science Center and $60 million Center for Theatre and Dance. Student life is alive and well at William’s College with many different extra-curricular activities being offered. Students can work on the Williams Record which has been the school’s newspaper since 1885. Students can also participate at the school’s radio station, 91.9 WCFM. The radio station is completely college owned and student-run. It features 85 hours of original broadcasting per week including a wide variety of musical genres and sports/talk radio shows. Music is a very important aspect to many students attending Williams College and the school has a variety of different groups for music and non-music majors to participate in. Williams College school colors are purple and gold. The school’s mascot is a purple cow name Ephelia. William’s College school teams are referred to as Ephs, which is a shortened version of the name of founder Ephraim Williams. 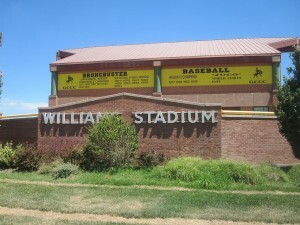 Williams has a traditional sports rivalry with some of the local surrounding colleges. William’s College did not begin participating in NCAA tournaments until 1994. Consecutively from 2004-2011 William’s College has achieved number 1 rankings in both academics and athletics within it’s per groups. There are also many non-varsity sports for students to participate in including rugby, horseback riding and sailing. Over half of all students compete on at least one varsity, junior or formal team. William’s College has produced many notable alumni including Steve Case, who is the founder and former CEO of America Online. Founder of Tripod and Chairman of Village Ventures, Bo Peabody is also a famous alumnus from William’s College.